Hermes Doctor House (HDH) is a day care medical and surgical center with a polyclinic concept with a focus on rheumatology specialty. A well equipped physiotherapy unit also functions. The clinic outpatient facilities of Center for Rheumatic Diseases (CRD) are provided by HDH. The Rheumatology referral practice in HDH is well attended by patients from all over Maharashtra, with large numbers from Baramati, Sholapur, Jalna, Jalgaon, Latur, Parbhani, Satara, Ahmednagar, Aurangabad, Sangli, Kolhapur, Nasik. 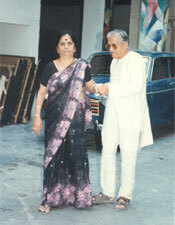 Patients are also referred from all over India. 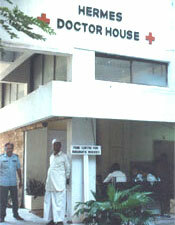 Patients are seen between 8 am  7 pm from Monday to Friday. Patients without appointment need to report to center during the pre noon session and are registered as per available facilities and services on a particular day. Prior appointments are preferred and given priority. All others are seen on a first-come-first serve basis. Appointments are handled by receptionists under charge of Ms. Rosemary Salvi (Tele. : 26344099). Kindly refer to CRD consultation guidelines for detail consultation fees and other information. Dr. Arvind Chopra, MD, DNB, is the Chief Rheumatologist. Patients are also evaluated by Dr. Vaijayanti Lagu  Joshi, MD, Consulting Rheumatologist, Dr. Vinaya Kunjir, Rheumatology Pediatric Clinical Associate. All routine and advanced rheumatology & immunology investigations are carried out in the state of art CRD: R & D lab at highly competitive & economic pricing. Unlike other laboratories, lab results are provided within 4  6 hours without additional cost. Facilities are also available for X-Ray & other imaging investigations. At present, the center does not provide consultation on internet, but patients can seek general guidance & advice from Dr. Arvind Chopra and his faculty by sending their query on this website.